It was late in my seventeenth year, as a junior in high school, that I experienced the assassination of John F. Kennedy. I recall the first few hours that the news was spreading because I think it was the only time that I shared the experience with other human beings. The rest of that weekend—and into the turbulence that was manifest in the post-assassination years—the big picture was mediated by television. The day after the assassination I went to the movies, watching the totally engrossing Lawrence of Arabia on a wonderfully big screen. (I would never have imagined that such a mode of viewing would be come a quaint anachronism.) Thoughts of political havoc were put on hold. Anyway, the rest of it—Oswald’s capture, Walter Cronkite’s death announcement, the swearing in of Lyndon Johnson, Jack Ruby shooting Oswald, the funeral with the tradition of a riderless horse with boots in the stirrups, the release of the Warren Commission report, and so on—have remained background noise for fifty years, not least because of the annual commemoration. 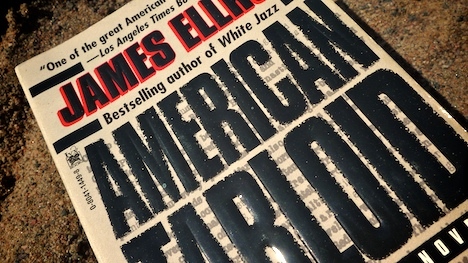 A few novelists have taken up the pen to fashion a fiction attached to the Kennedy assassination, including Stephen King’s 11/22/63 and the second volume of James Ellroy’s Underworld USA Trilogy, American Tabloid, which ends on November 23, 1963. And of course Don Delillo’s Libra, which focuses on Lee Harvey Oswald. Phillip Kerr’s standalone The Shot also takes us to Dallas on November 22, 1963. Though not a fiction, Thomas Mallon’s Mrs. Paine’s Garage is a work of great imagination about the woman who unknowingly harbored Lee Harvey Oswald. And no list would be credible without mention of Norman Mailer’s Oswald’s Tale: An American Mystery. This year represents the passage of half a century since the last murder of a president, and no surprise, there are a plethora of new and republished titles to add to the approximately fourteen-hundred JFK books already published. Skyhorse Publishing leads the way with thirty-five titles (some noted below), half being reprints. If Kennedy Lived: The First and Second Terms of President John F. Kennedy: An Alternate History by Jeff Greenfield (Putnam): Given the popularity of fantasy football and baseball (though I must say, I don’t get it), it’s not surprising to see a veteran newsman engage in some fantasy political history. Or, as this book presumes, “alternative history.” So JFK survives Dealey Plaza and defeats Goldwater for a second term. The second inaugural gala features the Beach Boys singing “Fun, Fun, Fun (in a Second Term With JFK)” and Roy Orbison crooning “Oh, Pretty Woman” (“This one’s for you, Jackie,” he says) and The Beatles visiting the White House. But more seriously Kennedy does not escalate the Vietnam War. A Cruel and Shocking Act: The Secret History of the Kennedy Assassination by Philip Shenon (Henry Holt and Co): Former New York Times investigative reporter Philip Shenon (who critiqued the 9/11 Commission) intended an insider’s take on the Warren Commission, but as his research revealed that the investigation was compromised by significant parties withholding evidence, the book ended up as a rigorous critique of commissions conclusions. Read excerpts here. The JFK Assassination Diary: My Search for Answers to the Mystery of the Century by Edward Jay Epstein (EJE Publications): In 1967 Edward Jay Epstein published Inquest: The Warren Commission and the Establishment of Truth, in which he asked, ”What was the Commission trying to do? What resources did it have to do the job it chose? Who did the work? How was the work done, and how well was it done?” And in trying to answer these questions he interviewed all the members but one of the government commission—something, apparently, no one else had done. In retrospect, it’s a truly amazing and precocious effort. 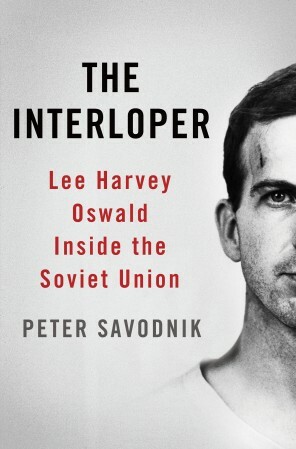 In 1978, he published Legend: The Secret World of Lee Harvey Oswald. And now, once again, he has returned to the Kennedy assassination. 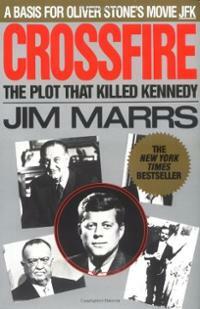 Crossfire: The Plot That Killed Kennedy by Jim Marrs (Basic Books): Texas reporter Jim Marrs had taught a course on the Kennedy assassination at the University of Texas at Arlington since 1976. He published the first edition of Crossfire in 1989 (though twenty-five publishers turned it down), which was the basis for Oliver Stone’s JFK, for which Marrs served as a chief consultant. 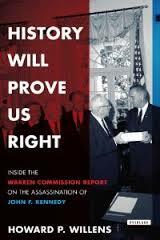 History Will Prove Us Right: Inside the Warren Commission Investigation into the Assassination of John F. Kennedy by Howard P. Willens (Overlook): Warren Commission staffer Willens attempts to nullify the entire body of conspiracy theories that grew out of the commission report’s anomalies. The title comes from Chief Justice Earl Warren’s reply to the Commission’s detractors. Dallas 1963 by Bill Minutaglio and Steven L. Davis (Twelve): Univesity of Texas journalism professor Bill Minutaglio and fellow Texan Steven Davis offers a spotlight on the political and cultural environment in Dallas in the fall of 1963. 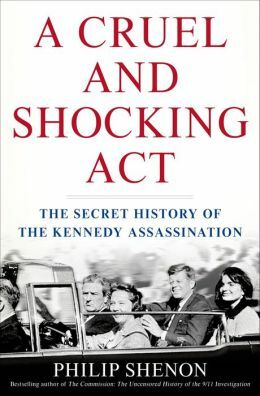 This is the only book to present a vivid picture of the high tension and pervasive fear in advance of JFK’s visit that some right-winger would do something. 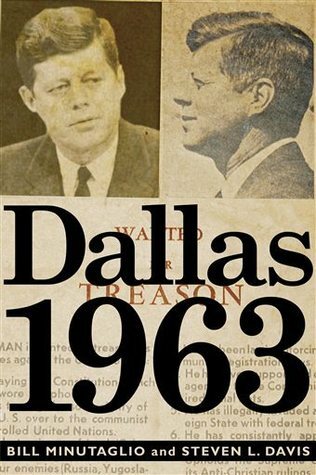 As the authors have observed, “Dallas … at the time was a perfect storm of outsized figures.” Lest anyone forget, JFK was welcomed to “Big D” with a full-page advertisement in The Dallas Morning News accusing the president of treason, an ad financed in part by one of the richest men on earth, Dallas’ H.L. Hunt. 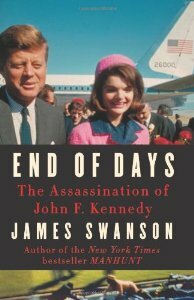 End of Days: The Assassination of John F. Kennedy by James L. Swanson (William Morrow): This account by James Swanson doesn’t get bogged down in the familiar background information but does highlight many of the less-remembered but critical facts of the event—Oswald’s attempt to assassinate Maj. Gen. Edwin A. Walker, Oswald’s wife’s knowledge of this attempted murder, his escape from the shooting site and killing of J. D. Tippit, and his thirteen-hour questioning by Dallas police. In some parts Swanson details the assassination minute-by-minute and he presumes to imagine both Kennedy’s and Oswald’s thoughts and actions leading up to the shooting. The Hidden History of the JFK Assassination by Lamar Waldron (Counterpoint): For what it’s worth, Lamar Waldron has been called “the ultimate JFK historian” by Variety magazine. 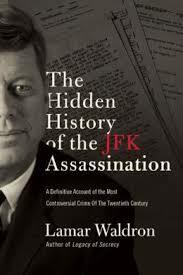 This book maintains that there was a conspiracy to kill Kennedy. You might want to wait to see the Legacy of Secrecy, produced by and starring Leonardo DiCaprio, with Robert De Niro as Carlos Marcello, the “notorious Mafia godfather” who Waldron claims confessed to the FBI. The Kennedy Half-Century: The Presidency, Assassination, and Lasting Legacy of John F. Kennedy by Larry J. Sabato (Bloomsbury USA): In three parts, University of Virginia historian Larry Sabato unpacks Kennedy’s allure over Americans (JFK still polls as the most popular of the presidents in the last half century). Most interestingly, Sabato deconstructs how subsequent presidents have utilized the Kennedy legacy for their purposes, which has a natural consequence of further embedding the mythology of Camelot in the American psyche. Hit List: An in-depth investigation into the mysterious deaths of witnesses to the JFK assassination by Richard Belzer and David Wayne (Skyhorse Publishing): Fans of Law and Order SVU will not be surprised that Detective Munch, aka Richard Belzer, is a believer in the JFK murder conspiracy. Belzer is quoted by Politico, “The reason I wrote Hit List is the 50 mysterious deaths of witnesses to the JFK assassination. We’re talking about CIA agents, FBI agents, reporters, people who had foreknowledge or people who spoke too much afterward. And if anyone has any doubt—which I doubt—of a conspiracy, the reasons we did this book is this proves why would they kill all these people if there’s no conspiracy?” Belzer has also written a book about the conspiracy to kill Marylyn Monroe. 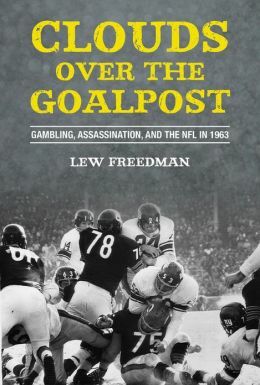 Clouds over the Goalpost: Gambling, Assassination, and the NFL in 1963 by Lew Freedman (Sports Publishing): By alluding to the JFK assassination and the decision of the NFL to play its games on the weekend following JFK’s murder, Freedman finds a way to focus on the NFL season and the drive to the Chicago Bears championship campaign. And here are just a sampling of other titles you can now find on the JFK assassination. I leave it to you to wade through this morass of information about extra bullets, grass knolls, mob conspiracies, Warren Commission depredations, questionable witness deaths, the hidden Cuban hand, and rogue intelligence agents. Happily most of the titles are usefully indicative of not only the angle but the attitude of the books. As a useful postscript I should point out John Judis’s article on an out-of-print Kennedy title, The Search for JFK, by Joan Blair and Clay Blair Jr., which though not about the assassination, was the first biography to debunk any number of myths about JFK (his health, his scholarship and authorship of Profiles in Courage and his military career), as well as revealing the White House sexual hijinks that had been so well ignored. Judis asks the poignant question about why a recent JFK book (1976) written by two well-regarded journalists has disappeared. Yet another of the many unanswered questions. Your readers might also be interested in Kenneth Goldsmith’s “Seven American Deaths and Disasters” (2013, powerHouse Books). Although this book is intended to be a conceptualist poem, it consists of transcripts, edited by the poet, of live radio broadcasts of seven memorable tragic events in recent U.S. history. The JFK assassination is the first section, followed by the assassination of RFK, the murder of John Lennon, the Challenger shuttle disaster, the Columbine shootings, the destruction of the World Trade Center on 9/11/2001 and the death of Michael Jackson. I was frankly surprised at how engrossing these accounts are; the radio announcers struggle to make sense of the news stories as they emerge in real time, and wild rumors are often broadcast alongside ‘official new releases’.